I presented a rule which can be used to produce the sequence 1,12,1,1,1,19. The next number is the number one. The sequence gives the number of cuckoo calls of a cuckoo clock at a quarter to twelve, twelve, a quarter past twelve, half past twelve, a quarter to one, one, etc. Well, you finally are getting close to the key okay, the number of times a clock chimes, but you missed the answer again. Any cuckoo clock that has that sequence is, well, cuckoo. What good is having a call of "one" for 7 quarter-hours in a row? Since you're hot on the trail, given that the 6th number is in fact a 2, even if you don't agree, what would be the 8th number? And don't say it's a 1. Try thinking chimes, instead of cuckoo calls. BTW I tried the website and it could not predict or produce the number 19 when the 6th position is unkown. The best it could do was to predict -54 in the 6th position, not 19. What it did was take 1,12,1,1,1,19 and say that 175 would be the 7th number, but it could not provide 19 for the 6th. I went ahead and tried a number of possible continuations of this sequence, leaving out different numbers. The Lagrange polynomial utility was never able to predict any one of the missing numbers, any which way. When I left out the first number things got strange. This formula is utterly useless on this puzzle. The formula clearly has zero relation to the puzzle key. Sometimes relying on pure mathematics puts you everywhere EXCEPT in the right place. This polynomial calculator is entirely unable to anticipate any one of the numbers in the subject series! Which is absolutely 100% wrong. To be clear, I gave the site all the correct sequence numbers up to and including the 12th number and it gave me an answer for the 13th position that is 99.9999974% wrong. IOW 100% wrong. what about deaf persons who can't hear the chime? They would have to watch the cuckoo. Don't you remember what you said about the advantages of hourglass sand timers? You have a point there. But maybe you didn't notice that I suggested you stop thinking about cuckoo clocks. But you keep on anyway. This is not that difficult but if you refuse to pay attention to clues, it gets difficult. There are "chiming" clocks that are made for deaf people (flashing lights, etc. ), and there are watches made for the blind. Among those unusual and specialized timepieces, some are of the type that this puzzle applies to. This puzzle refers to patterns in the greater majority of all timepieces ever made that signal time automatically at select intervals. As a matter of fact, clocks that chime on the quarter hour most often have a different tone for 15 and 45 minutes after the hour. Westminster chime for example has 4 different melodies it plays at the 4 quarter hours. There are a variety of other chimes but the Westminster is the most popular of the musical chimes, in the western world, anyway. With new European Union copyright laws the U.K. will have to pay to continue using Georg Friedrich Händel's original work used by the clock tower at the Palace of Westminster (Westminster Quarters). I assume that this will break their economy. I didn't say I don't like cuckoos. I brought a cuckoo clock back from the Black Forest in Germany. So if it's cuckoo clocks you prefer to reference, try this one. How many ways can you get stuff wrong, Struthio? 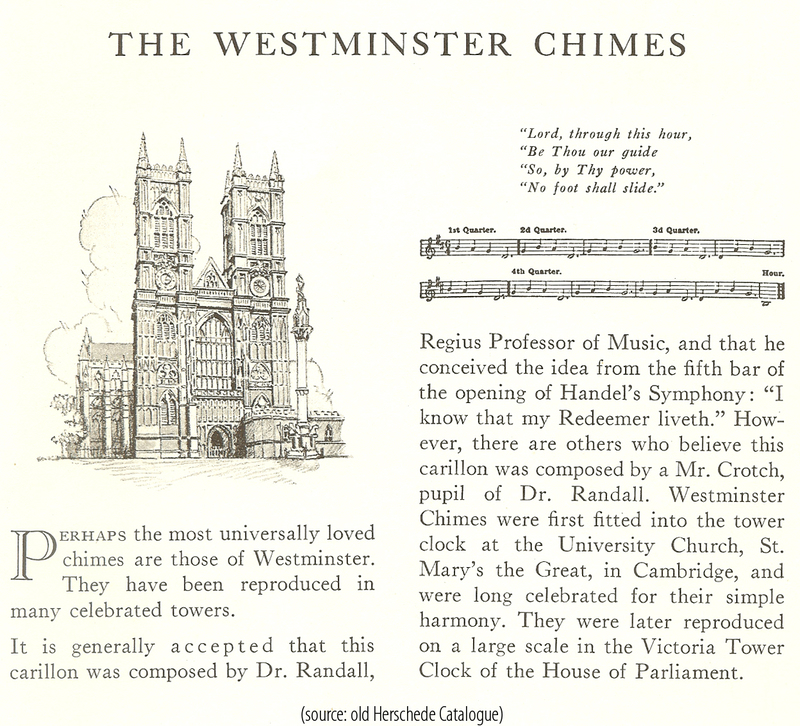 Handel originally composed the symphony the Westminster Chime was BASED on, but he did not compose the chime. In fact, it is only the four pitches that occur in his symphony at bars 4 and 5 that are used in the Chime, which has 5 variations that comprise its composition. The Westminster Chime was composed by either Regis Professor of music, Dr. John Randall, or his pupil, William Crotch in 1793. The carillon was first played in the bell tower of St. Mary's the Great, the University Church, in Cambridge. Later it was reproduced on a large scale in the Victoria Tower Clock of the House of Parliament (renamed Elizabeth Tower in 2012). Speaking of which, here is another puzzle! What does how many tones in the Westminster Chime separate the midpoint of the only repetition of the same two pitches from the beginning of the repetition of the entire sequence of tones have in common with the variable pitches themselves? If the name of the structure that houses the Great Clock of the House of Parliament, is Victoria Tower, why is it popularly referred to as "Big Ben?" If the Westminster Chime is rendered in the key of D, what pitch and octave does Big Ben have? You are right, Neil Obstat. But the European Union may not act in a reasonable way. Can you move just one digit to a new location, making this equation true? Do not move signs, only move one numeral. Are you aware of BREXIT? Now THERE is a novel explanation, what was truly at the starting point, what sparked Brexit: the Brits were not about to pay duties. If you put it up for a vote in the UK, the proposal to pay the EU rent on the peal of Big Ben would be an overwhelming loser. Sure. That's why I expect retaliation by the European Union. what sparked Brexit: the Brits were not about to pay duties. Sitting in a pub, not being about to pay duties, I would stay for another beer, not leave. found by MaterDominici: 82 - 34 = 1 has no other solutions? If you can provide an alternative solution, that would be wonderful! But as for the possibility of proving a negative, well, no, I don't think so. A negative is something that can't be proved. There is one reply that gets pretty close: -3.375 = 1 ...but it's still a false equation. Or, if you can make the digit you're moving into its reciprocal, you can get closer: 0.399765767... = 1 ...still false. 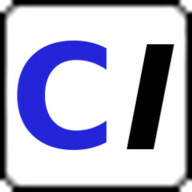 Or, by moving a different digit and using its reciprocal you can get closer still: 1.442561476... = 1 ...still false. (82)/3 - 4 is pretty close to 8(23) - 40 but you have to leave a 0 where the three came from, and neither is even close to 1. In general, the thing that makes good puzzles so charming is that they have one unique solution that is much simpler than all the runner-up answers. It is the beauty of simplicity that sets them apart. The simpler, the better! If the name of the structure that contains the Great Clock of the House of Parliament is "Clock Tower" (or "Victoria Tower" renamed Elizabeth Tower in 2012), then why is it popularly referred to as "Big Ben?" The movement and technical description of the various parts of this historic clock are a topic of vast interest by clockwork enthusiasts worldwide. Some of the numbers and materials describing its parts and operation are frankly hard to believe, when considered out of context. The fact that it's been in service under all weather conditions for 159 years and continues to operate reliably is quite a testament to its designers and craftsmen who made it a reality. It survived the onslaught of German bombs in WWII, with the peals of clock chimes not missing a beat for the duration even amidst the explosion of ordnance. There have been lists of trivia facts drawn up about this "Great Clock" (a moniker in use for over a century already) that are quite amusing -- especially once you know a thing or two about pendulum clocks. Yes, it is regulated by a pendulum, with a period of two seconds; 13 feet tall, weighing 660 pounds, and costing a lot more! Incredible, in an age of electronic everything. It is 100% mechanical, a purist's dream come true. It gets wound three times a week by hand, a process that takes 90 minutes. For the English (thank goodness) it would be UNTHINKABLE to replace this enormous movement with a more modern one that would work automatically, perhaps by wind power. Some have said that they were a little short-sighted by not making the actual pendulum VISIBLE through a window of some kind on the sides of the tower. The regular 2-second beat of this clock's heart could be made to appear as a sparkling jewel in the center of the tower. In answer to this charge, it has been countered with the fact that this is a FOUR-SIDED CLOCK and its pendulum operates in only two directions, so to make it visible, only two of the four sides would be able to display its movement. Well, that's not a closed issue. By use of prisms or mirrors, the image of the pendulum in motion could conceivably be conducted to appear similarly through windows in each of the four sides. The cost of making such changes do not qualify as urgent, however, when compared to paying for essential maintenance. Certainly, four TV screens displaying the PICTURE of the pendulum in motion could be hung on each of the 4 sides, but that would not be in keeping with the longstanding character of the clock: all mechanical, no electricity required. The whole ambiance of the Great Clock is a cultural icon of the British people. In 2007 it was found to be the single most popular tourist attraction and thought to be the single most culturally relevant item on English soil. IOW Big Ben is as British as motherhood and apple pie is American. They've just managed to turn their national symbol into a tourist attraction, unlike Americans. But having their "pie" and eating it too comes with a price! As of 2017, necessary maintenance and functional renovations are in progress which are estimated to cost £61 million. During this repair process the chimes will be silent for several months. We should hope this will not stir up civil unrest.